Poul Kjærholm was in his early 30s when he designed this chair but it is remarkably self-assured … there is clarity in the concept and a simplicity in the shape so that even today, nearly sixty years later, the chair seems to be free of conventions or styles and free of forms from the past. This was not a matter of just stripping away decoration or just simplifying shapes and nor was it just a rationalisation to explore what is essential for a chair but, in the design of the PK9, Kjærholm re-assessed the relationship between function and the support and structure of a chair and combined that with a highly-developed awareness of shape and space. His self confidence was more than justified: Kjærholm graduated in 1952 and from 1955 taught furniture design at the Royal Danish Academy of Fine Arts. Through the 1950s he produced a number of experimental and innovative designs - a chair with one leg, a shell chair like an open clam - with two curved pieces of aluminium bolted together - a wire chair shaped like a great swoosh and these were followed by a series of chairs and tables that went into production - including the low easy chair PK22, a side chair PK 1 and a glass and steel table PK61. In 1958 he was awarded the Lunning Prize - then the most prestigious award for design in Scandinavia - and in 1960 he designed Denmark's pavilion for the Triennial in Milan. The first winner of the Lunning Prize, at its inception in 1951, was Hans Wegner* and it was perhaps only Wegner who had as clear a view of the final form of a design - seen from all angles in three dimensions - from the first stage of the design process. But, much more than Wegner, Kjærholm controlled how his furniture would sit in a larger space … so he considered carefully how the lines; the shapes or silhouette and the planes of a design not only define their own volume but are also defined and affected by the wider space. From 1947 Wegner had taught at the School of Arts, Crafts and Design and after working in partnership with Ejvind Kold Christensen on several designs he introduced him to Poul Kjærholm who, at that point, was still one of Wegner’s students. Kold, a few years older than Wegner, was the son of a cabinetmaker and had been apprenticed to learn upholstery but became a travelling furniture salesman and it was only after the War, when he met Wegner and began to work closely with him, that he became a catalyst for work with first Wegner and then Kjærholm. Kold was a businessman who understood and appreciated the importance of using the best materials and the importance of retaining the standards of skilled craftsmanship,even in metal work and engineering, but recognised the commercial potential to be gained from rationalising designs so that they could be produced in larger quantities for sale to a wider range of customers. He is credited with the idea of designing furniture so that it could be delivered in parts and then assembled to reduce the cost of shipping. Kold was important because he established a network of manufacturers to make the furniture but also marketed the work of Wegner and then Kjærholm oversees. Kjærholm had also trained as a cabinetmaker before studying under Wegner so quality of workmanship was a fundamental part of his work. In an interview that was published in 1963, Kjærholm was asked if his furniture was designed with a view to industrial manufacture and replied that his "furniture, like most furniture at the Cabinetmakers' Guilds' exhibition, is 50% handmade and 50% industrially made. Here in Denmark we would not accept 100% industrial manufacture unless its results were technically better than the work of the hand. I will not accept a surface or material treatment of the kind found in Eames's mass-produced furniture." Ole Palsby - in his essay in a book on Kjærholm that was published in 1999 - made the crucial point that Kold and Kjærholm succeeded because they used metal in a Scandinavian context. 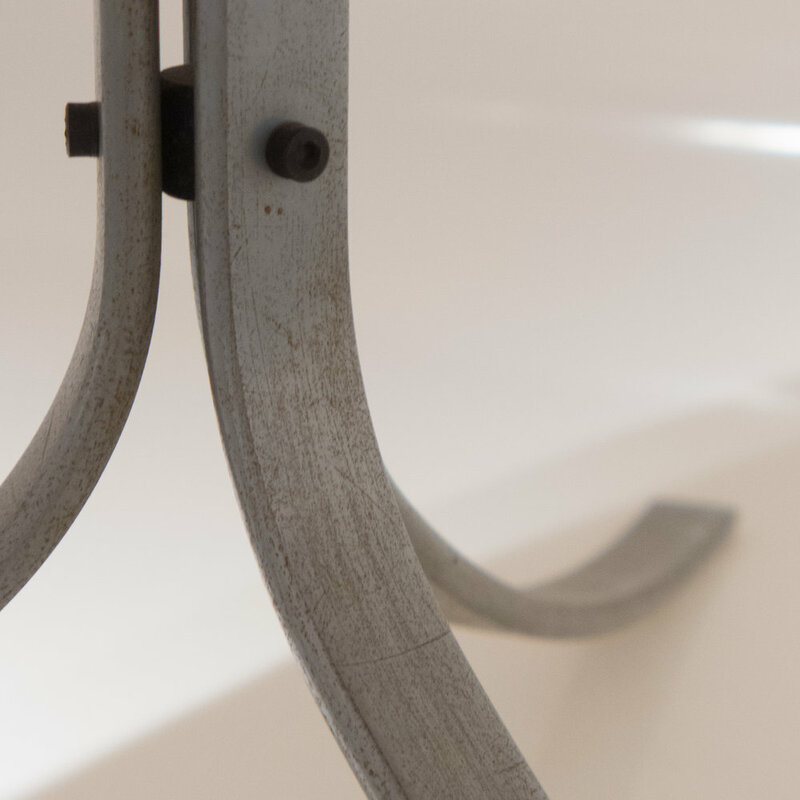 Elsewhere in Europe, through the 1930s and later, in the work of the designers from the Bauhaus and elsewhere, metal furniture was made, generally, with a frame in steel tubing, usually with a polished chrome finish, and that was not popular in Denmark. If there was any inspiration for his ideas from the work of the Bauhaus, Kjærholm looked to the work of Ludvig Mies van der Rohe for the low height and the solid weight of his furniture - for instance the Barcelona Chair of 1929 - and, more significant, to his buildings and interiors for setting furniture in formal, stark spaces. Working with Kold, Kjærholm used heavy steel in flat strips with a matt finish that had very different qualities to metal tubing and he combined the steel with high-quality leather and unpolished wood that provided a much more subdued contrast of colours and tones. Kjærholm appreciated the way that steel aged - developing a patina. He used glass for table tops but primarily so that the frame rather than the surface dominated. Kjærholm said "I consider steel a material with the same artistic merit as wood and leather." Rather than welding, Kjærholm used sophisticated bolts and locking nuts to join the metal parts and that reinforced the sense that these chairs and tables were an expression of precise engineering. These fixings are as important in the design process for Kjærholm as the exposed but precise joins and new ways of bending and shaping wood that Wegner developed in his collaboration with cabinetmakers. It would be a mistake - in emphasising the engineering and the architectural aspects of his work - to loose sight of the fact that Poul Kjærholm trained and began his career as a cabinetmaker and understood not just the importance of using the best materials but also the importance of working with the best craftsmen to produce his furniture. He worked with the metal smith Herluf Poulsen; with Ivan Schlecter for upholstery, particularly leather, and with Ejnar Pedersen, founder and owner of the cabinetmakers PP Møbler, for work in wood. Ole Palsby made another important point when he observed that furniture by Kjærholm is "generally smaller, low and transparent, making man the most important part of the room" and observed that Kold "believed to the end that artistic quality can sell, that production with an artistic intention was marketable." Kjærholm designed the displays in Bredgade at the showrooms of E Kold Christensen where the furniture was shown against large black and white photographs of open landscapes and this format was repeated for an exhibition in Paris where the space was precisely divided and controlled with lines of pendant lights forming a cross to divide the main space and furniture was placed precisely to show the importance of the space around each piece. There the furniture was shown disassembled so, for the PK9, one shell was shown covered with leather and one uncovered and both on a low plinth alongside the three steel legs and the two spacing pieces that lock the legs together to form the support of the shell. Shown like this the reaction must have been to think that surely something must be missing. Could such a sophisticated chair come from so few and such simple parts? But it is only when those simple but precisely-designed parts are assembled that, they define and occupy a space; take on a real volume, and only then assume their function as something a person could sit on. Perhaps that is why Michael Sheridan, in his Catalogue Raisonne, described the furniture by Kjærholm as "studies in construction." That is shown clearly in the design of the support of the shell in the PK9. Inevitably, with a shell in plywood or plastic or fibre glass or, as here, in polyester, the support for the chair is almost invariably in a different material. Arne Jacobsen designed L-shaped legs that met in a central block under the set for the support of shell chairs; several designers produced a frame work with either legs or even runners and some designed a central column combined either with feet that branched out from the bottom or a circular pedestal. With the PK9 Kjærholm has just three pieces of steel that are vertical at the centre but curved out at the bottom to form a stable base and curved out at the top to support the seat with two identical pieces at the front running out to the sides and one slightly longer curve of steel running straight out to the back to support and brace the chair. These three strips of metal are joined by two small hexagonal joining pieces to create not a central column but three faces of the outline of a hexagonal column. The angles of the upper curves set the seat with a slight backwards tilt. The shell of the PK9 - moulded in polyester and covered with leather - makes this, perhaps, the most beautiful chair of this type. 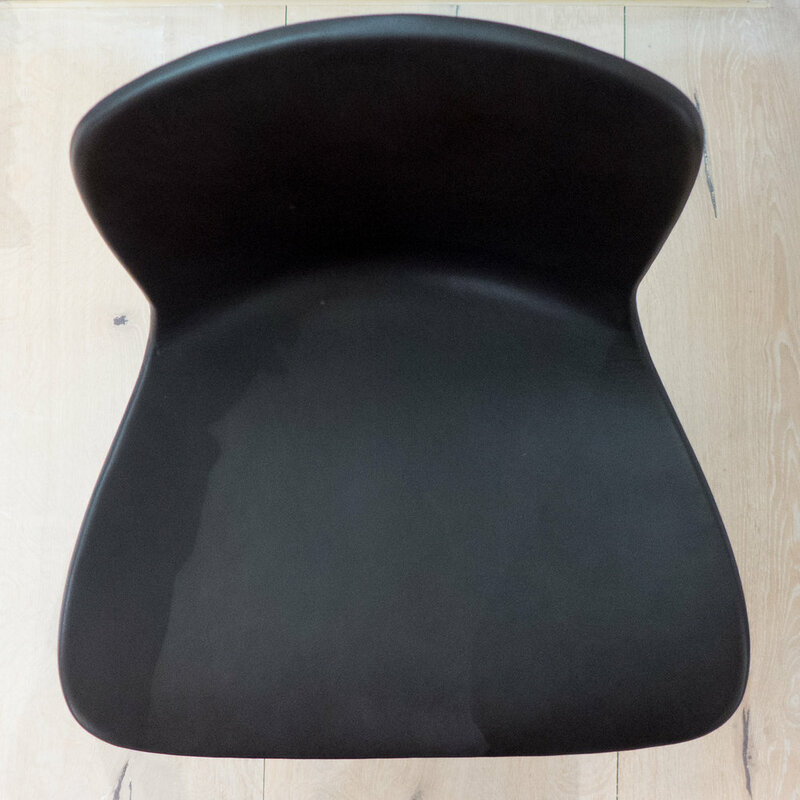 It can be difficult to talk about aesthetics - about why one shape or a line or curve is beautiful and another not - because ultimately it has to be a subjective judgement but this chair has a balance and a generous width but an elegance of line that has not been matched. Looking back, it is difficult to see how Kjærholm created such a subtle and complex shape without being able to model it in 3D on a computer. There is a story that Kjærholm was at the beach with his wife Hanne and when she stood up he was inspired by the impression her bottom had left in the sand and modelled that shape in clay. For some chairs there are sketches and working drawings by Kjærholm with elevations on graph paper but that hardly seems to be the way to design such a complex shape. A photograph survives of a wire chair designed by Kjærholm in 1953 that shows a wooden former and a full-size papier-mâché model and it would have been possible to draw lines over the paper to get the spacing of the wires right. The shape of the seat for that chair, without the base is close to the shape and the angles of the PK9. The wire chair was not put into production but could the papier-mâché model for the wire chair have been the starting point for the shell of the PK9? This analysis of design and structure makes the chair sound like an intellectual exercise in form, construction and aesthetics but it is all that and it is actually supremely comfortable and the wide generous shape makes it feel generous in its proportions and, although it might seem a rather mundane point, the width means that it feels natural and easy to put the hands palm down on either side to push down when standing up. However beautiful a chair surely it also has to be strong, stable and comfortable? * Each year, between 1951 and 1970, the Lunning Prize was awarded two designers chosen from the four Nordic countries and in 1951 the other recipient of the award with Hans Wegner was the Finnish designer Tapio Wirkkala. When Kjærholm was awarded the prize in 1958 his fellow recipient was the Swedish ceramacist Signe Persson-Melin. ** Between 1956 and 1959 Poul Kjærholm developed 13 designs with Kold and 10 are still in production. Shortly after the death of Poul Kjærholm, from lung cancer at a tragically young age, Ejvind Kold sold his business to Fritz Hansen with the licences for many of the designs and they now produce the PK9. 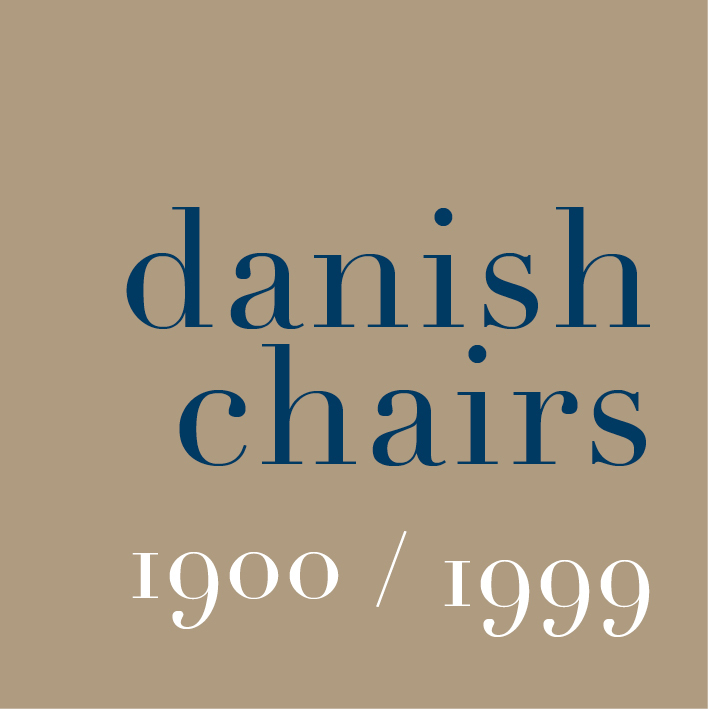 *** There are photographs of the exhibition in 1965 in the archive of Danmarks Kunstbibliotek with two views of an arrangement with the table with a round stone top - catalogued as the PK54 - also designed in 1961 - with four chairs.